What is BMW xDrive? BMW x Drive Technology - How Stuff Works! Most of you must have heard about the xDrive technology from BMW. Basically, xDrive is the marketing speak for the Bavarian car marque’s excelling all-wheel drive system. In India, you can find this technology on cars in the ‘X’ series, which includes the BMW X1, X3, X5, and X6. Internationally, this system is also available on the 1-Series, 2-Series, 3-Series, 5-Series, 6-Series and even the 7-Series limo. In essence, BMW’s all-wheel drive system is much like most other such mechanisms you can find on similarly priced modern cars. However, there are certain aspects which do set this tech apart. Here, in this post, we provide you a detailed answer to a pretty common question – What is BMW xDrive? Well, to put it simply, the BMW xDrive, instead of using a permanent torque split, uses a variable torque split between the front and rear axles. This is done using a multi-plate wet clutch that is built in the gearbox near the car’s front driveshaft. Using this setup, xDrive sends the torque between the front and rear axles, normally in a 40:60 ratio. However, the system can react in a split second, generally, one-tenth of a second, to redistribute up to 100% of the power to the either axles in case of detection of loss of traction by the car’s ABS (Anti-lock Brake System) or DSC (Dynamic Stability Control). There’s a high-speed Electric Servo motor that turns an actuator disc to apply the wet clutch. A catch here is that since the rear driveshaft is hard-coupled to the transmission output, 100% torque can be transferred to the front axle is achieved only when the rear wheels have a lack of traction. xDrive works in tandem with the car’s ABS and DSC systems. In case there’s a loss of traction even after the xDrive comes into play, the DSC automatically applies brakes to individual wheels in order to establish traction and introduce stability. The latest BMW X1, which gets a front-wheel drive platform with transverse mounting for the engine, uses a slightly different version of the xDrive system. 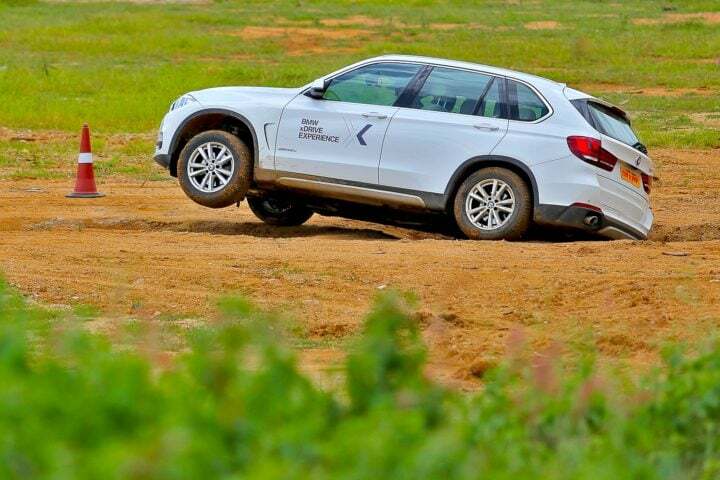 In Bimmers with their xDrive variants based on the FWD UKL platform, the front wheels get cent percent torque at times the xDrive clutch is open. This gives the car a front-bias instead of the rear-bias on all other cars with the xDrive system. Other than this major difference, there’s really no change in the way this system works. In India, the xDrive system is available in four of the car marque’s ‘SAV (Sports Activity Vehicle)’ models. These include the BMW X1, X3, X5, and X6. Before bringing in the xDrive technology, BMW offered AWD on some of its cars in the 1980s. The 3-series and the 5-series were two such models. The earlier AWD systems from BMW used a viscous coupling in the car’s centre and rear differentials. The transfer case maintained a 37:63 split until the occurrence of a slip. The system would instantly transfer as much as 80% of the torque to the axle that suffers from a loss of traction. The wheels undergoing a loss of traction would be braked using the DSC, and the power would be transferred to wheels having traction. I hope that we have been able to provide you with a detailed answer to the question – what is BMW xDrive? 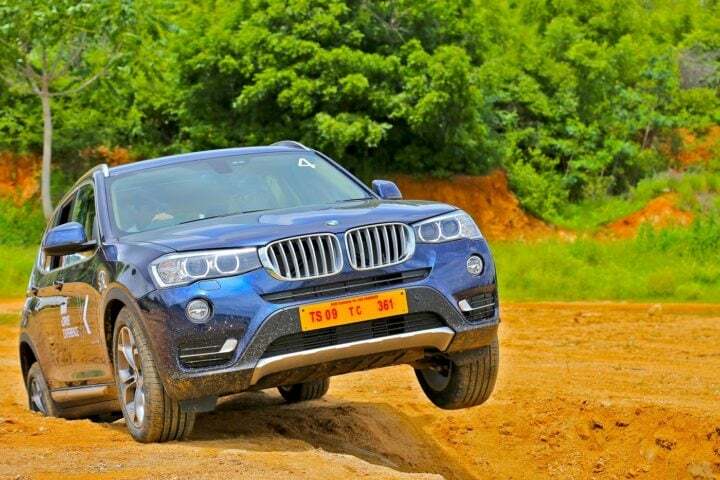 Tell us, which of the BMW xDrive cars on sale in India do you like the most? Also, safely expect us to come up with more such stories in our How Stuff Works series.